Think about the times that you sat back and thought about how a cat or dog or perhaps an additional dog or cat could really make a difference in your life. If you consider yourself to be a pet lover at all, chances are that you have reflected on such a thing at least once in your life and you may have even looked up pet stores and breeders in your area. While these are all acceptable means of getting the new member of your family, there are plenty of loving and worthy animals living at your local humane society or animal shelter just waiting for you to take them home. Check on the web and browse some of the facilities in your area; you are bound to agree that these animals have a certain quality of their own that makes them the best and most grateful of pets. Animals that your bring home from the shelter are yours forever—you are their rescuer and you are bound to feel so throughout the remaining time that you have to spend together. Going to the shelter may be a scary and disheartening experience. There will be many pets that you wish you could take home but may be unable to, and that should show you the very reason why this is the perfect place to pick out your new friend for life. Showing support for your local shelter is the best way to show support for domestic animals in your community that need you. If you have ever had a puppy, chances are that you know how frustrating it can be to find your most prized possessions destroyed at the hand of their vicious little jaws. Puppies and adult dogs alike have a way of finding your most valued possessions—your most expensive shoes, your favorite jeans, that pillow for your bed you just loved. They seem to destroy the things that matter most, and electrical cords can be that last straw for some people. Many puppy owners have been guilty of losing their temper when they found a cord chewed by their four-legged friend, but the truth is that it is yourself that you should be angry with if you have ever encountered this problem. Just as you wouldn't leave electrical cords around children, you shouldn't be leaving them around dogs or other pets, either. The right chew could send an electric shock through your dog, which can cause shutdown of vital organs and eventual death. You don't want to have to deal with that and chances are that you want to keep your television as well, so keeping cords hidden or secured away from pets under any circumstance is usually the best idea. 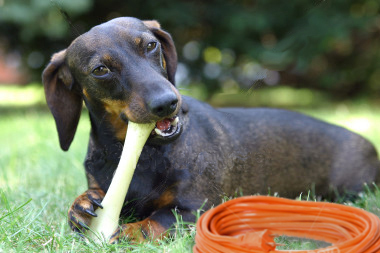 Your pet store probably sells plastic casing for cords to help keep your little guy safe, and there are other ways of stuffing and tucking that you can make use of as well. Pit bulls are one of the most popular breeds of dogs out there, and for good reason. They are loyal, they are sturdy, and they strike fear in the hearts of people on sight—making them an excellent option for people who need a dog for protection. They are easily trained to follow the commands of their owners with the right dedication and training, and they are fairly resilient to the woes of illness and the dangers that other animals propose. There is, however, a problem that pit bull breeds do have with demodectic mange. Everybody has heard at one point or another the term 'mangy dog' or 'mangy' cat. This description has to do with a pet not having the silkiest or plushest of coats. A mangy coat usually has bald spots or a rough, unclean look but what people fail to realize is that there is a cause for this. It has nothing to do with the dog or its character, but a parasite that lives in the skin of every pet that has grown out of control. This parasite is a demodectic mite. Demodectic mites are found in the coats of every dog, just as there are mites and other microscopic organisms on the skin of people. Demodectic mange becomes a problem when these demodectic mites reproduce out of control, causing the dog to have itchy and irritated skin. When they scratch, they remove fur from their coats and cause the spotted, mangy look. This is a very uncomfortable condition for dogs and it can cause them to lose most or all of their fur, turning a beautiful breed of dog into an eyesore. Pit bulls are especially prone to this condition, and it can start with just a few bald spots in the dog's coat. 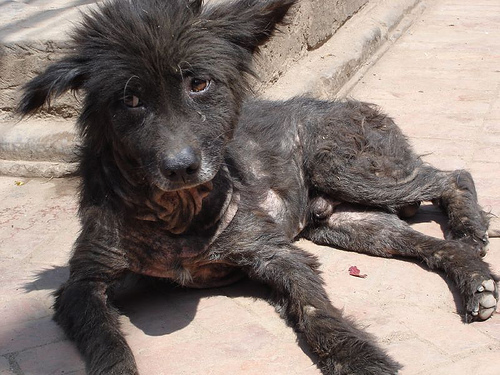 If you think your dog may suffer from this mangy condition, don't hesitate to stop in at your vet's office and have them do a skin scrape. With the help of a microscope and a few skin cells, they can easily diagnose and treat this uncomfortable condition. If you get up in the morning and dress yourself fabulously from head to toe, don't you think your best friend should be equally fabulous? Of course, dogs and cats do not wear clothes in the same sense that we do; while pet t-shirts, coats, hats, and dresses are a big part of many pet's lives, the real deal is in the collars and leashes that they use. Every dog needs a collar. They are like jewelry for dogs; they go around your dog's neck and in most cases they wear their collar all day, every day. Some dogs have several for their owners to choose from and rotate in, while other dogs only have one collar in their wardrobe. Whether your dog only has one set or twenty designer collars and leashes to choose from, it is important to realize the big role that these things play in your pet's fashion sense. If they wear nothing else during their day they do wear their collar, and if you want them to be as fabulous as you are, perhaps a designer dog collar and leash set is the way to go. 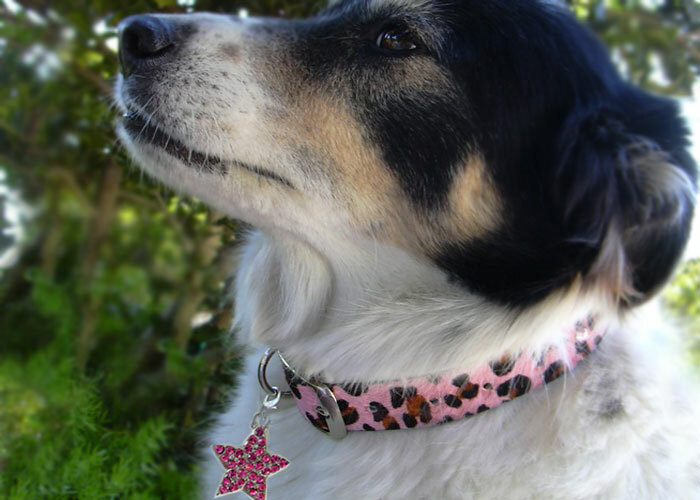 You can choose from plain fabric dog collars and leashes to the fancy collars and leashes. Certain prints and styles can help to bring out the fashionista in any pet easily, and while designer sets do tend to cost more they are built to last as well. 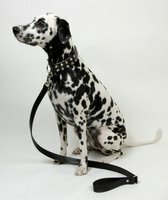 When you choose a dog collar and leash set, have some fashion sense in mind. They have to wear it every day, so they might as well be as high quality as they possibly can. Find the perfect style for your dog, so they can be as glamorous as they possibly can be, whether in the house for the day or strutting their stuff down the street on their afternoon walk.